'Beneath The Tree' Goes Dot Com! This is a usual blogging report of what happened for the past few days. As you may have noticed, the blog's domain has now changed from the default blogspot's domain to a new customized one. Bennixville.com is a blog dedicated to Technology, Gadget, Blogging,SEO, Practical Computing Tips and Social Media. IT latest new, product reviews and jobs are also posted to help netizens be updated with current issues. 10+ Grade: All in all, the best and worth following! what can I say? I really recommend everyone to visit his site, you'll surely learn a lot of things from this blogger. Happy blogging everyone! Congrats Aj Banda! Your dot com is so nice! Great job Bennix and you! Cheers! libre ba dito, pare? ginagamit ko kasi dot tk.. kaso ewan ko, libre daw for the first year, di ko lang alam kung may bayad na pag nag-renew..
May bayad ang dot com.. I think it's around 500 per year. I'm not sure with dot tk. I just heard of ti but never used it. Nice! 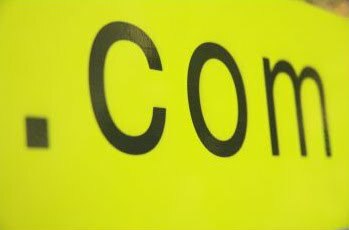 dot com domain has so many advantages in free domain including short url and better indexing. Way to go Bennix!